Finding a great deal on a Low Port Weymouth Bit with Bradoon Snaffle & 6'' Shanks can be difficult. But do not worry as we have a vast selection of Weymouth Bits that are not just made of superb quality but also affordable. 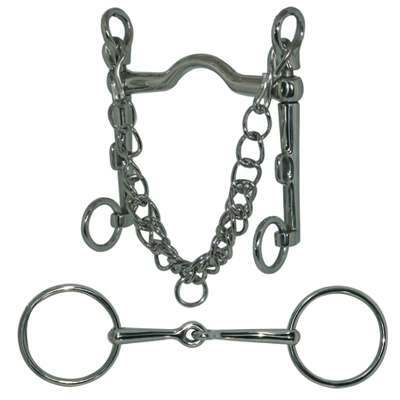 This Low Port Weymouth Bit comes with a Bradoon Snaffle and 6" Shanks. When buying from us you can rest assured you will be purchasing a great product.